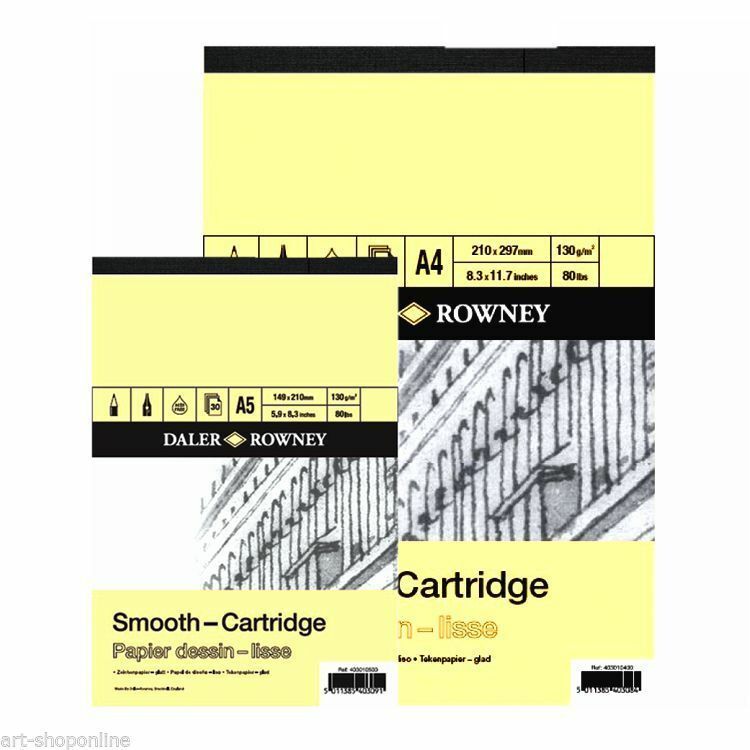 Daler-Rowney A Series Cartridge Pads are deservedly popular, general-purpose drawing pads. The paper has a smooth surface that's good for pencils, graphite, charcoals and ink, and all kinds of drawing and sketching. Each Daler-Rowney A Series Cartridge Pad contains 30 sheets of 130gsm paper, which is acid-free for durability. The gummed pages are easy to remove, neatly and cleanly.